Diebold and Eagle Eye Networks, a provider of an on-demand security and operations video management system (VMS), have entered into a partnership to deliver cloud-based video services. This is the first national strategic alliance of its kind, according to the companies. “We are excited to partner with Eagle Eye Networks, to bring the future of cloud-based video security services to the market,” Diebold Electronic Security Executive Vice President Tony Byerly says. As part of the partnership, the new video solutions will offer services that stream and store live and recorded video, provide flexible cloud storage, and generate notification and real-time analytics. Users will be able to access and manage these new video services from Diebold’s centralized software-as-a-service (SaaS) solution — SecureStat. 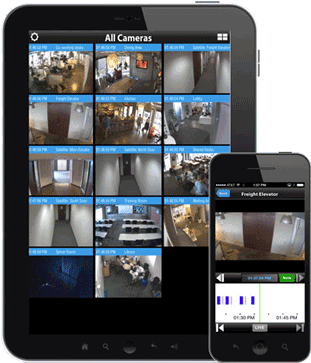 Last year, Eagle Eye Networks entered the video surveillance scene with its Eagle Eye security camera video management system, which offers access to live and recorded video, provides comprehensive mobile applications, and consolidates multiple sites into a single view on a Web browser. By combining Eagle Eye’s security camera VMS, along with the its Eagle Eye video application programming interface (API) and Diebold’s SecureStat, the companies are seeing to make cloud-based monitoring easier, more secure and reliable for end users. The combined solutions enables deployment flexibility for multi-location customers—allowing more choices for local and cloud-based applications that maximize customer investments, whether integrating IP-enabled or legacy analog cameras, according to the companies. Diebold will integrate and utilize the Eagle Eye Cloud Security Camera Video Management System at Diebold monitoring centers and showcase selected applications at its Electronic Security Center of Excellence in New York.